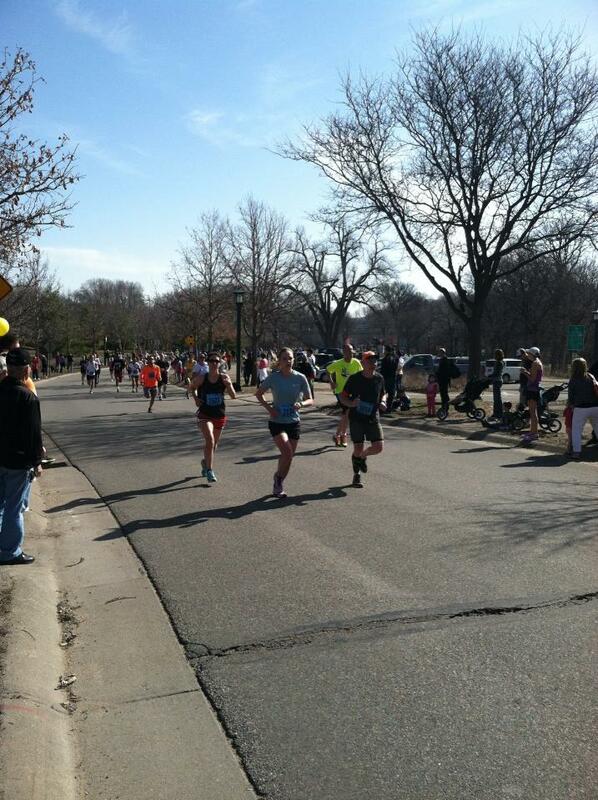 As of yesterday, my official 10k PR is 45:45, a 7:22 pace, which, incidentallly, happens to be my half marathon PR pace. Yesterday I woke up feeling the worst I have in days. Without going into too much detail, it was clear my cold had turned bacterial. Lots of nose blowing, phlegm coughing, and water guzzling. I got to the race around 8, found parking a few blocks away and got the lay of the land. With twenty minutes until the gun, I went out for a warm up jog. When I got back, the corrals were packed and I tried to work my way up to the front but stopped when it got too crowded to move forward without pushing people. I spent the first mile bobbing and weaving through a ton of people. (My stats show I passed 498 in the first four miles.) I kept telling myself not to panic, that I had the whole race to make up for it. Besides, I wanted my first mile to be my slowest anyway. It was. 7:34. The road began to open up and I got a little over-zealous. I don't think I've ever been this happy to be racing. 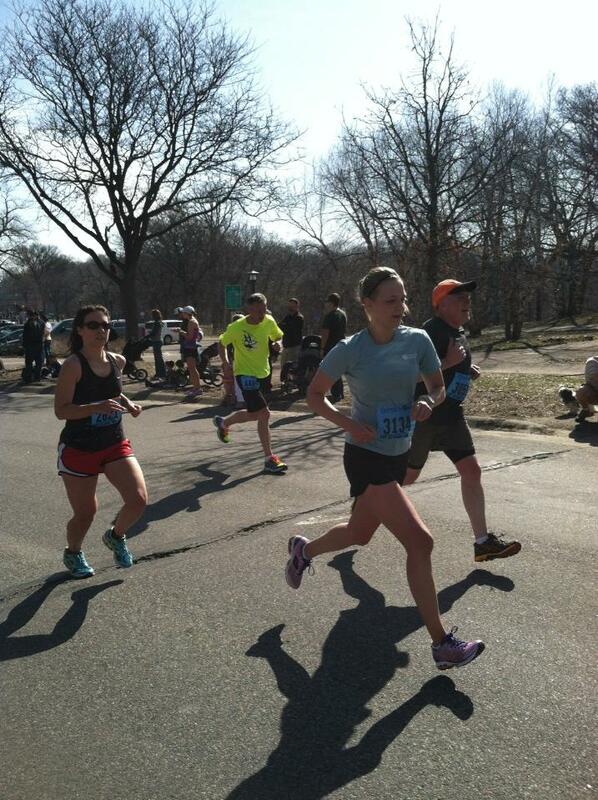 I forgot how much I loved the camaraderie of runners, and hearing the cheers of spectators. 7:07- or "making up for lost time." I actually don't remember passing the 6 mile mark, or really anything besides seeing Colleen, Julie and Mae and seeing Colleen raise her phone to take a picture of me and knowing that it would probably be pretty terrible. I concentrated on moving my feet as fast as possible, and began counting down from 10 in my head, knowing that when I hit zero, I would be done. 6:50 (last .2). I thought this distance would be terrible but I really love it. It's not as hard as a 5k and not as draining as a half. This is the most evenly paced race I've ever run. Aside from my first two miles, and my finishing kick, my miles were all within 8 seconds of each other. I'm happy with where this puts me at, fitness-wise. With only five weeks of dedicated training under my belt, I feel like this was a solid effort. So there it is, the story of my first- though not last- 10k.